The version of WhatsApp became obsolete ? Will I have to update it soon? I got a pop-up message about WhatsApp this morning. The screenshot is as below. Has anyone of you also gotten the same warning message? 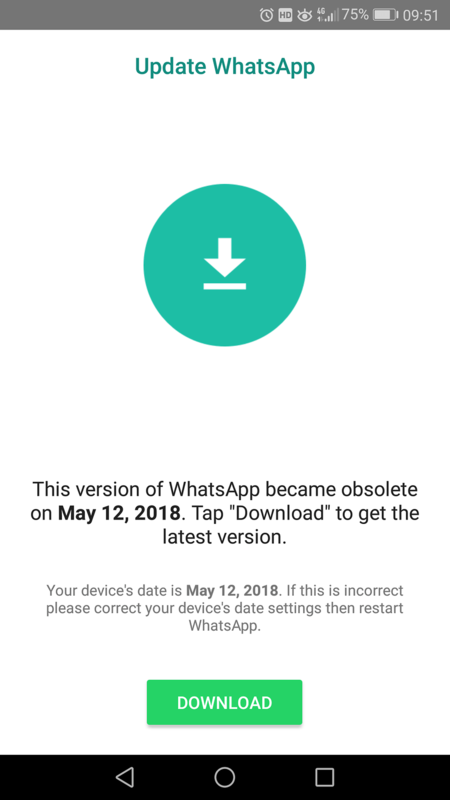 this is a normal message, that pops up when your version of WhatsApp is simply too old. You need to update in the near future, otherwise you will not be able to use WhatsApp anymore.